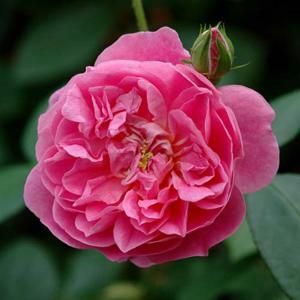 English shrub rose with medium sized, double, rich rose pink flowers, repeating freely over a long period in summer. Fragrant. Sturdy bushy habit and dark green foliage, bronze when young. Raised by David Austin Roses, one of four introduced to celebrate the bicentenary of the RHS in 2004.